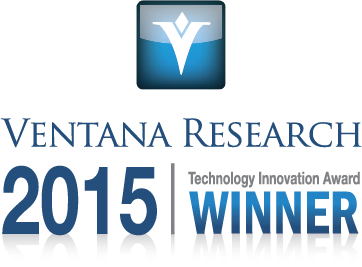 San Francisco, Calif. – Oct. 9, 2015 – Trifacta, the leading data wrangling solution for exploratory analytics, today announced it has been named a 2015 Ventana Research Technology Innovation Award winner in the big data category. Trifacta was selected for its innovation and ability to help a wide array of organizations reach new goals and generate more value from data. Trifacta removes the bottleneck that exists between data stores and analytics tools, a process that can take as much as 80 percent of the analysis process. Trifacta provides a disruptive approach to data wrangling that allows users across varying technical abilities to discover, structure, clean, enrich, validate and publish data for analysis. Powered by the latest techniques in human computer interaction, machine learning and data visualization, Trifacta drastically increases the value of an enterprise’s big data initiatives and enables users to quickly and easily transform raw, complex data into structured formats for analysis and insight. Trifacta was recently named a 2015 Red Herring Top 100 North America Winner, showcasing the company’s momentum in the big data space. 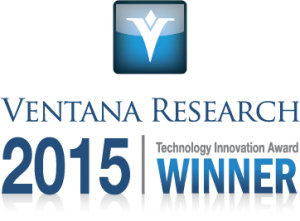 Trifacta was also named a CRN 2015 Emerging Vendor, as well as to the The Channel Company’s 2015 CRN Big Data 100. Over the past year Trifacta has received recognition in several lists including the 10 Hot Hadoop Startups to Watch by CIO Magazine, 30 Big Data Companies Leading the Way by Datamation, 10 Coolest Big Data Products of 2014 by CRN and The Big Data 50 by Startup50.com. Trifacta, the leading data wrangling solution for exploratory analytics, significantly enhances the value of an enterprise’s big data by enabling users to easily transform and enrich raw, complex data into clean and structured formats for analysis. Leveraging decades of innovative work in human-computer interaction, scalable data management and machine learning, Trifacta’s unique technology creates a partnership between user and machine, with each side learning from the other and becoming smarter with experience. Trifacta is backed by Accel Partners, Greylock Partners, and Ignition Partners.